Don't expect police commissioner Daniel Carbon to clarify his statement regarding May 29, 1979. "I made a press briefing, I have nothing else to say," Carbon responded in his militaristic, unwelcoming and hostile manner, when asked by The Sun for clarification. Don't expect the head of the police force, sworn to protect the people of Dominica, to say if he has seen or heard anything that prompted him to make reference to that turbulent period. "What I say (sic) is very clear. What I say (sic) is unambiguous. What happened in 1979 is very clear and the only people who do not know what happen in 1979 are the people who were born after it." In a hastily arranged news conference on 13 June, Carbon sent a chilling warning that the "errors" of 1979 would not be repeated. 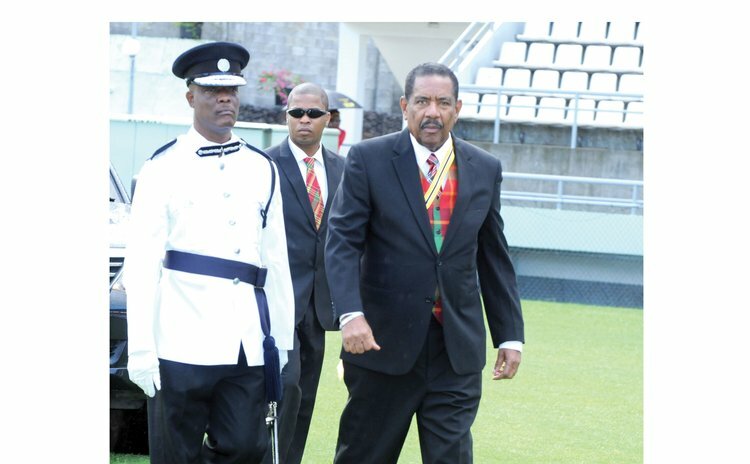 "The police force will not allow the Commonwealth of Dominica to experience the errors of 1979 and the early 1980s," the police commissioner said after complaining that callers to radio talk shows were inciting the public to "commit acts of lawlessness and violence". It was a reference to the mass public uprising that led to the fall of the Patrick John administration in May 1979, just seven months after the country attained political independence from Britain. His reference to 1980 was likely an allusion to the coup attempt by the Dominica Defence Force, which was later disbanded. However, many interpret Carbon's comments to mean the police were prepared to turn their weapons on the people if Dominicans dared to stand up to the current administration. Among those who believe this is the hotelier and government critic Athie Martin, who told The Sun the words uttered by Carbon were manufactured by people higher in rank than the police chief. Martin is certain that the apparatchik, desperate to hold on to power by any means, had turned the police force into the Dominica version of Haitian dictator François "Papa Doc" Duvalier's Tonton Macoute and were pulling the commissioner's strings. "For Carbon to be sent to make that kind of statement – and what we have to look for is not who is making the statement but who is behind the statement. They have taken the professionalism away from the police force and they have created a Tonton Macoute and these people take orders only from the politicians," he surmises. The environmentalist sees differences in the circumstances between 1979 and today – a more active and militant trade union movement, a better organized and active civil society, including the farmers union, for example. At the same time, he says, there are similarities, which include attempts to stifle civil liberties. In a four-part series entitled, "The Road to May 29" published in The Sun, historian Dr. William "Para" Riviere argues that the incidents were substantially rooted in the economic circumstances of the island just prior to independence. Riviere also points to widespread discontent, repressive laws that attacked freedom of the press and a proposed amendment to the Industrial Relations Act to curtail the powers of trade unions. Martin argues that these conditions also exist today and government is worried that people are reaching the tipping point. "Every other [Caribbean] country seems to be mobilizing their forces . . . but they are mobilizing their economic forces. In Dominica we are mobilizing our little tin pot police force against the people." Asked again if he had seen or heard anything that prompted his reference to 1979, Carbon repeated: "I have nothing else to say. I have nothing else to say. Bye."